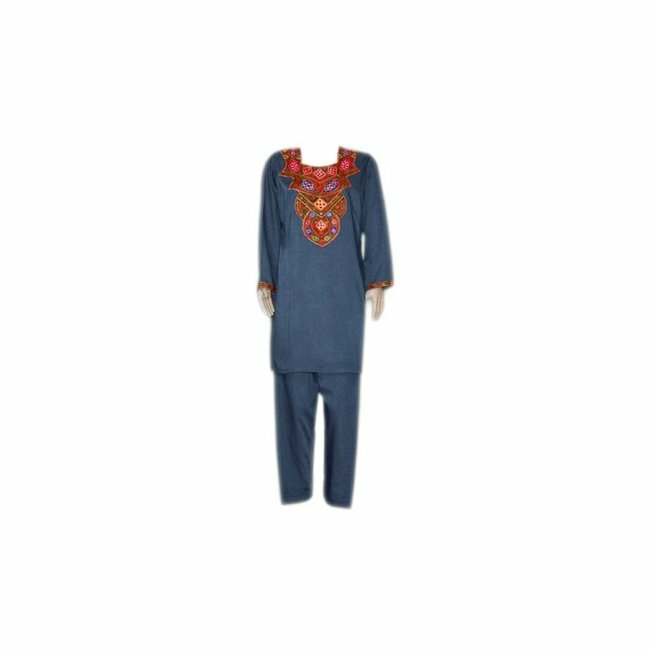 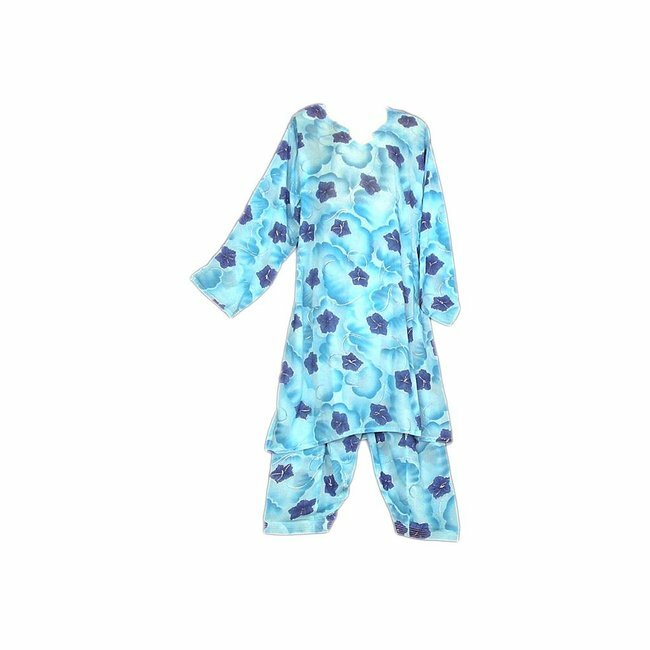 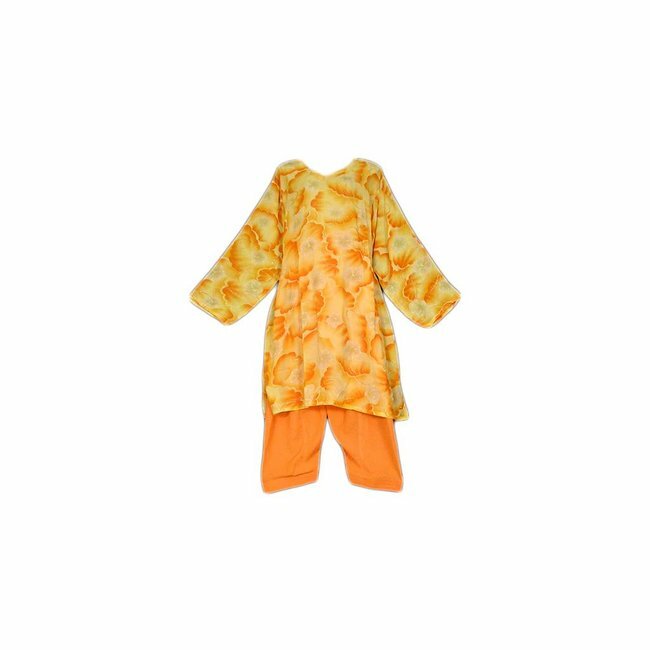 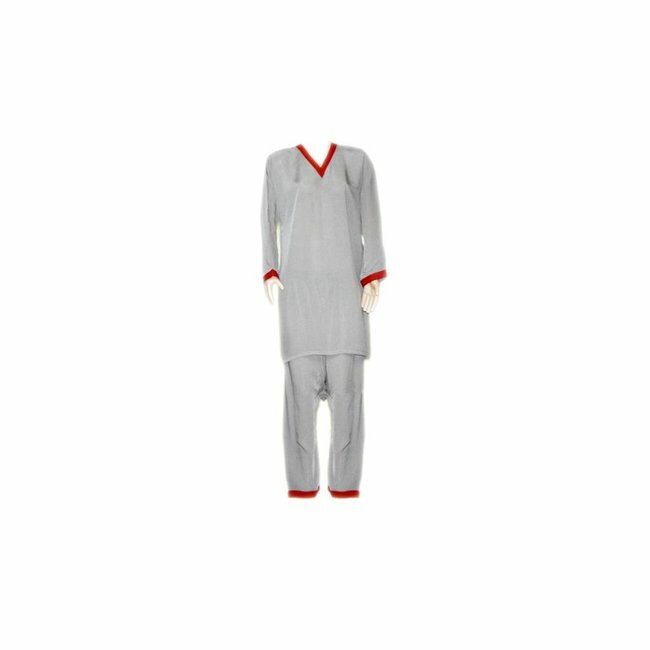 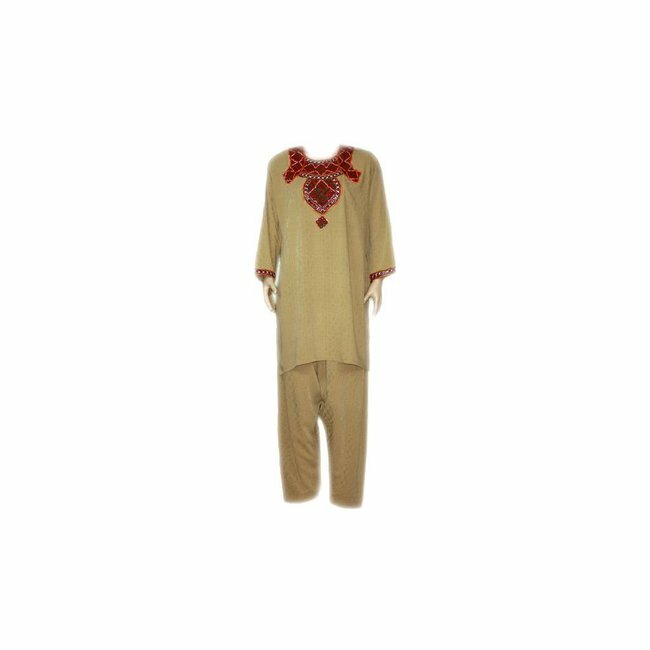 Salwar kameez in blue grey with mirror embroidery (S, M, L) Read more..
A salwar kameez in blue grey with embroidery in the Mirror Works style, which consists of two parts - Kameez (top) and salwar (pants). 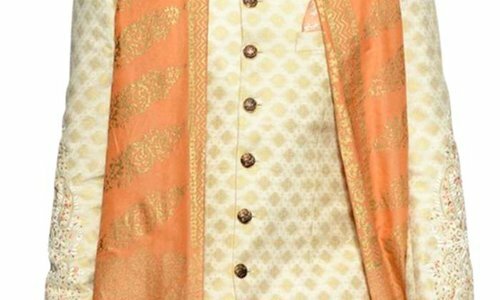 The color of the embroidery may differ from the photo, while the design of the section corresponds to the photo. 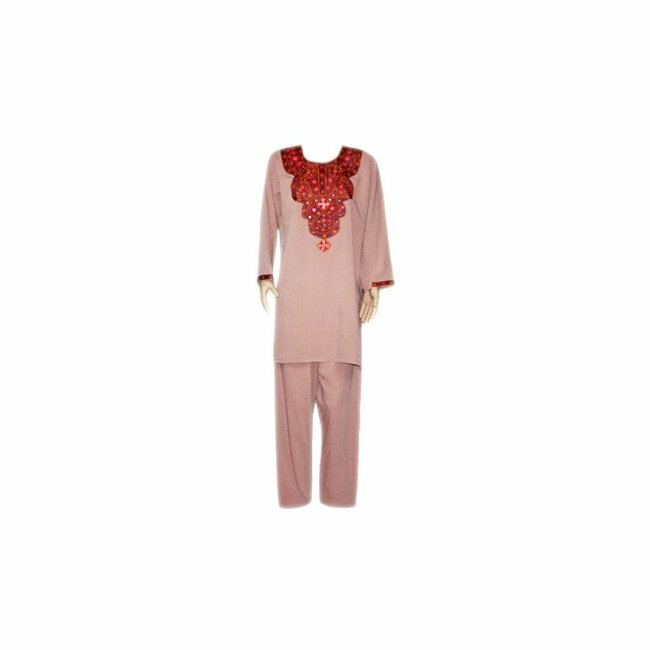 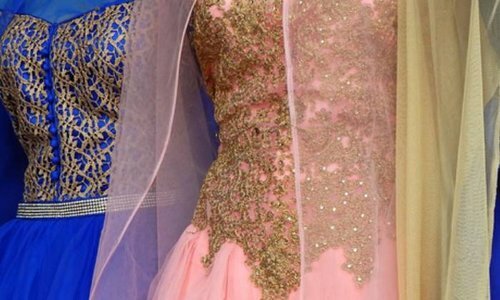 Salwar Kameez in soft dusky pink with mirror embroidery (S, ..